On a 2K5 Jetta TDI Wagon with 2916 Km on the odometer. 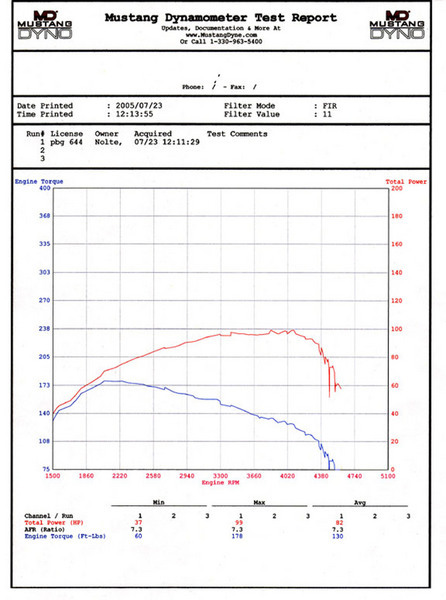 Notice the drop in power and torque due to lack of air flow through the intercooler. Boost maxed out at only 12-13psi.